What do you do when you have a small wooded area with lots of fallen branches and dead wood, three horses that poop a lot and a desire for raised garden beds? You build a Hugelkultur garden. Hugelkultur, pronounced Hoo-gul-culture, means hill culture or hill mound. 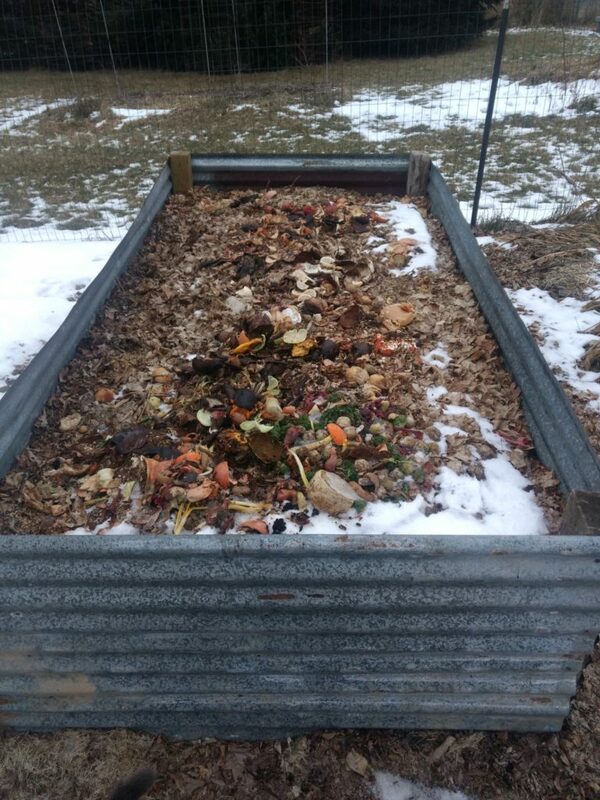 It’s literally a raised garden bed that is built from the bottom up with logs, sticks and branches, wood chips, grass clippings, manure, leaves, food scraps, egg shells, coffee grounds… everything you would put into a compost heap. Top it all off with a layer of topsoil and/or more compost and you are ready to plant. supplies nutrients to the mound. The decaying wood provides a home to the beneficial soil bugs that help break down organic matter. In the first few years the soil will warm from the decay going on so your growing season will be longer too. It has been proven to work in the desert as well as an urban backyard. 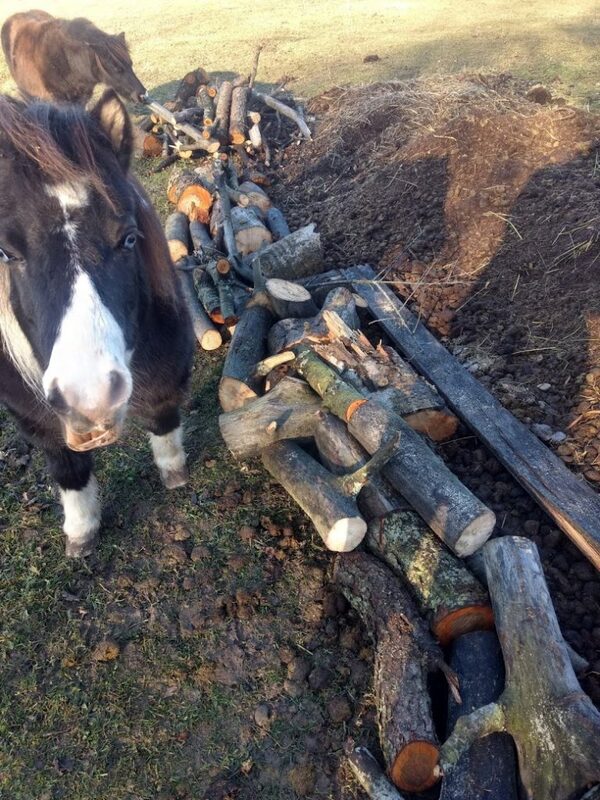 It also is a great way to use dead and fallen trees that otherwise would get burned or go to a landfill. 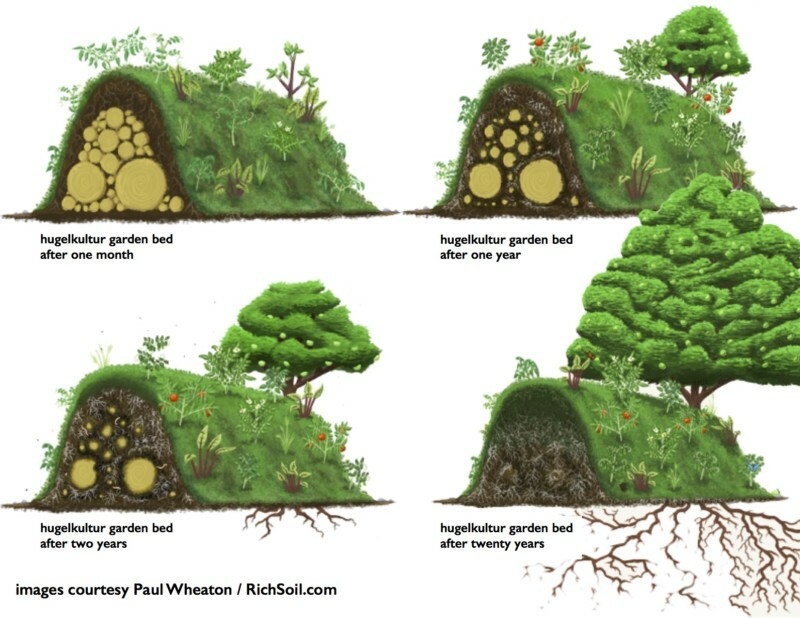 There are a few rules to building your Hugelkultur, but they are basically the same rules you would follow if building a compost pile. No Black Walnut or Black Cherry, no dog or cat waste (but horse and cow is encouraged), no grass clips from a treated lawn (that goes for leaves too), and don’t put weeds that have gone to seed (unless your goal is to grow weeds). Cedar and Pine are not good to use because they tend to not break down and discourage microbial activity. Don’t ever use treated wood. The deader the wood the better. You can build your mound free standing, enclosed or underground. I decided to try an enclosed raised bed and two freestanding mounds (to start). My first bed I constructed in my garden using sheets of old corrugated metal roofing for the sides. I just screwed them into 4×4 posts that were sunk into the ground a foot or two. Eventually I may need to replace the posts if they start to decay but that will be years from now. I loaded the base with dead wood. I have a lot of fallen trees. What a great motivation to clean up the woods right! Then I added sticks and twigs. 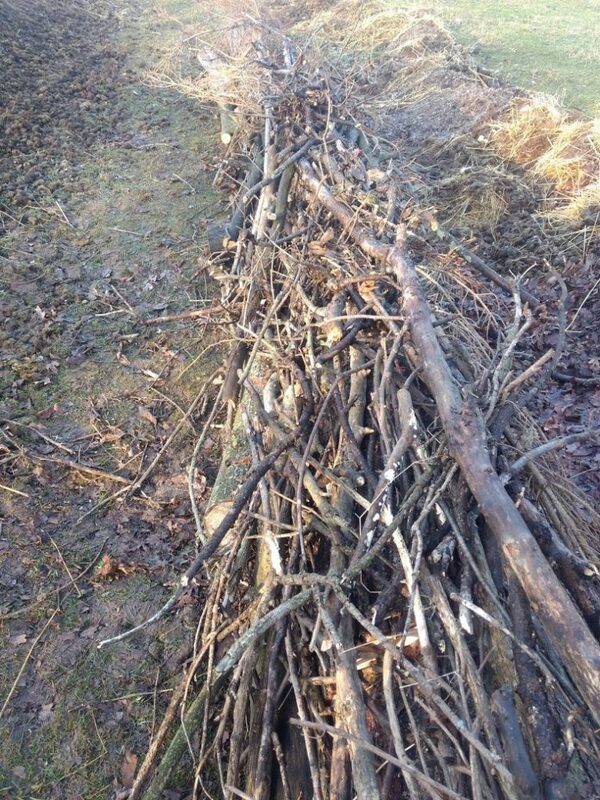 Then I added wood chips, which will fall into the cracks of the sticks & twigs and logs. I found a website that you can signup for free chips dropped at your home. It’s called Chip Drop and you can sign up for chips and even have the logs delivered to your home. BUT be specific when you sign up to say no Black Walnut or Pine. A lesson learned the hard way on that one. Then I topped my chips with manure, leaves (it was October so I had plenty), and straw. I have added (since the photo above) fruit and veg peels, coffee grounds, bio char, egg shells and spent brewing grain (another free product I get from a local brewery). It will all sit and decompose over winter. In the spring I will probably have to add a bit more compost mixed with top soil due to over winter settling. Each year that passes the mound will get better and better. I can’t wait. Completed and waiting for spring planting. I then wanted to build more, but this time two free standing mounds in my front pasture. My plan is to plant pumpkins this spring. 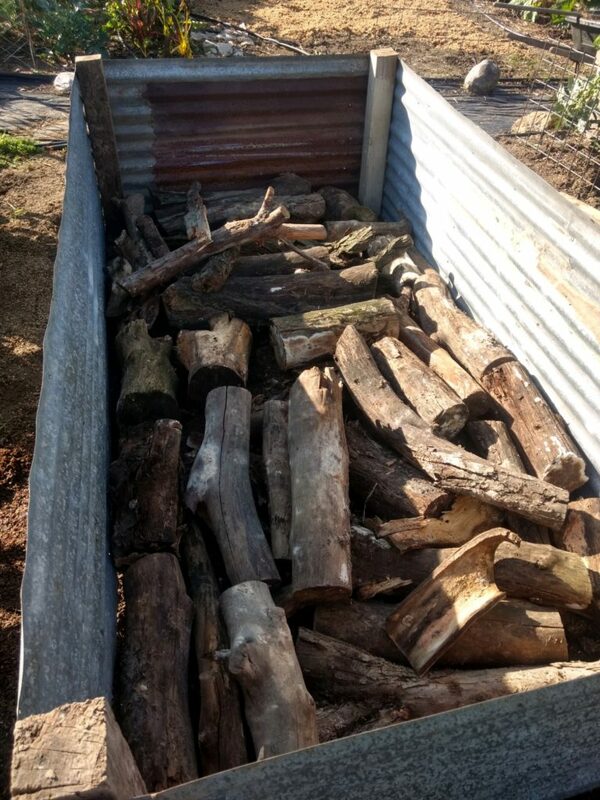 So I used more dead wood in one mound and fresh cut logs in another. 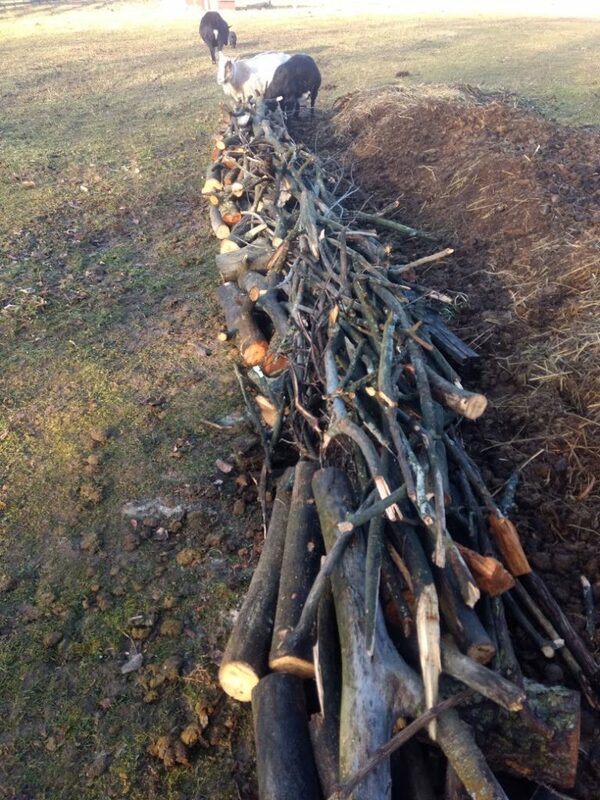 The second free standing pile is with fresh cut pine logs – from that, “lesson learned the hard way” mentioned above. I figure it is a side by side experiment and time will prove if fresh pine works as well or at all. I love experiments. Dead wood logs and more sticks and twigs from the woods. Tucker – making a silly face for the camera. Mound two is with fresh pine logs. 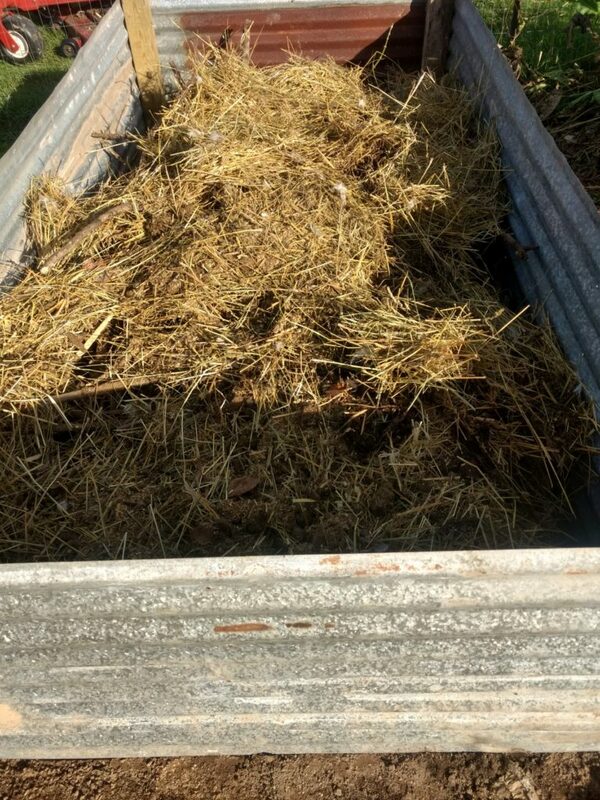 I had been dumping manure and straw all summer in anticipation of building my mounds. But first to pile on the sticks and twigs. 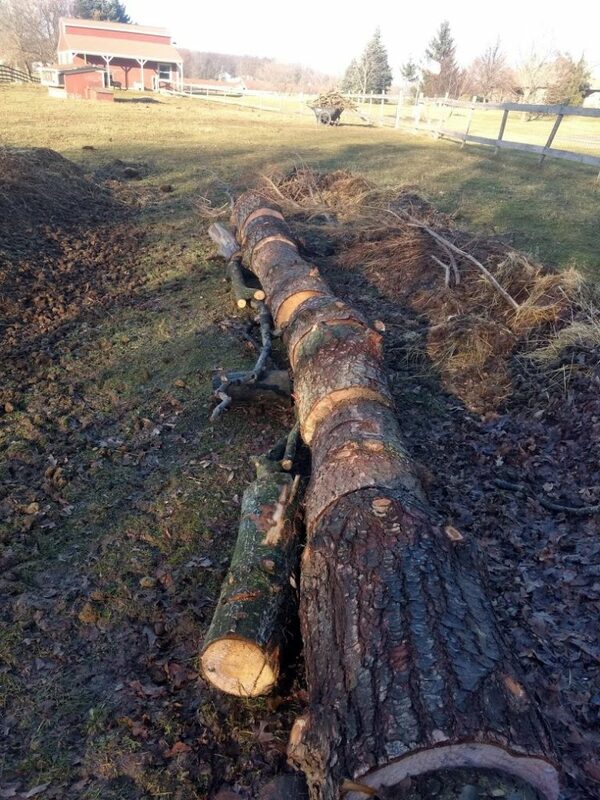 Fresh pine logs – definitely an experimental mound. 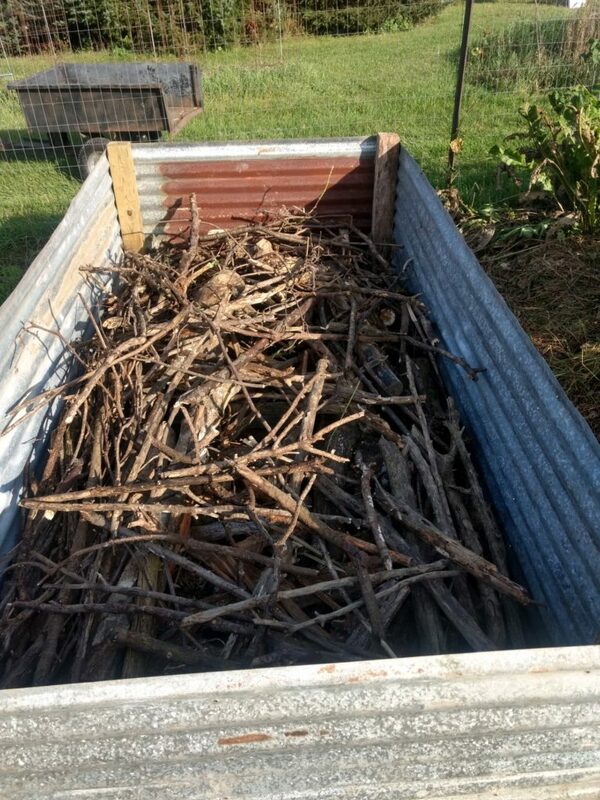 Sticks and twigs – the mound is starting to pile up. Hugelkultur experts say the bigger the mound the better as more moisture is retained. And yes, I will put a fence up to keep my animals out of the area. Here are just two good articles I found with more information and with illustrations, there are many YouTube video on the subject also.